Since it first hit the streets, the Fit has been about affordability and practicality, all wrapped up into a sporty design. 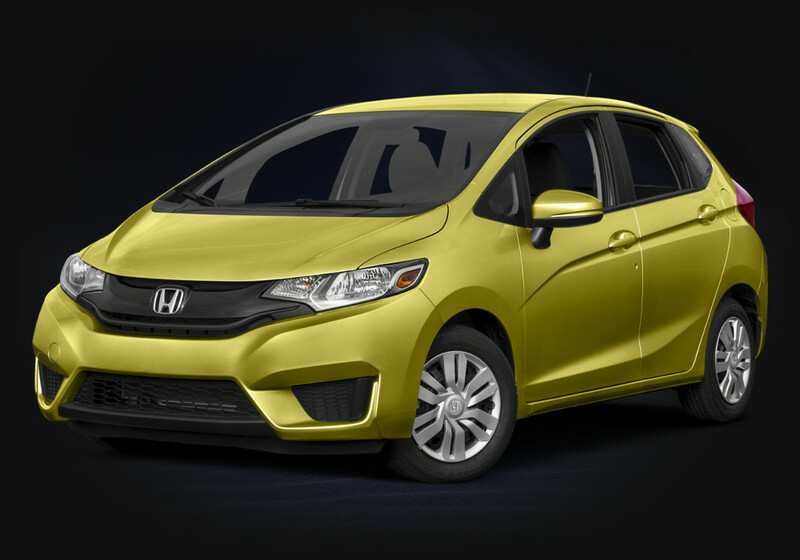 This year, the 2015 Honda Fit takes all of that to a whole new level, shrinking down its overall footprint while increasing interior space and giving drivers a new suite of standard amenities that leave other subcompacts in the dust. With sporty and responsive handling and an easily affordable entry-level model, the Fit is poised to take the auto world by storm. Drivers find plenty of pep in the Fit. With sharp and confident handling, Honda’s hatchback lets drivers know that they can get a sporty and powerful small car without compromising on price or features. Although the Fit is eager to take full advantage of its 1.5L Earth Dreams engine, the Econ button gives you the option to maximize every drop of fuel, especially when paired with the Continuously Variable Transmission. Dreams do come true. Honda’s Earth Dreams 1.5L four-cylinder engine kicks out 130 hp and reminds you that you can have a fuel-efficient small car that is fun to drive, moving with both speed and grace. The Fit doesn’t just look sporty, it really feels like it’s ready to hit the track on the weekends, all because of this incredible little engine. 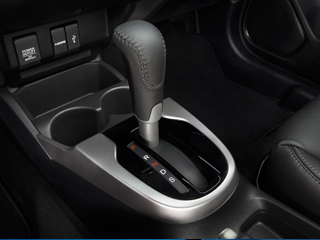 Drivers seeking extra control over that 130 hp will love what the 6-speed manual transmission has to offer. 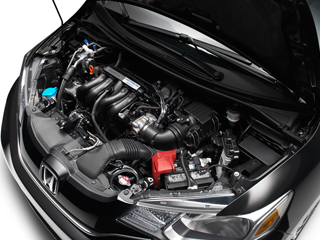 Honda engineers added an extra gear to the transmission to boost fuel efficiency and make it all the more fun to drive. 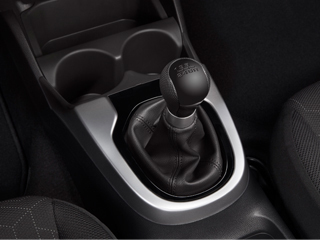 Let the transmission take control of the shifting with the optional CVT of the Fit. The engine of Honda’s new hatchback has more power than ever and the CVT helps you get the most out of every one of those 130 horses, optimizing for the given driving condition. Combined with the CVT, G-Shift ensures you spend less time power revving and transmits the engine’s output to its wheels far more efficiently. 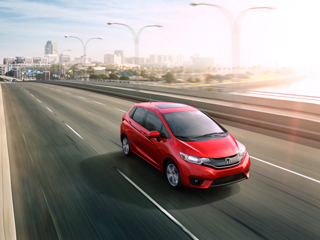 The Fit lets you choose if you’d rather have high mpg or high mph, adjusting fuel consumption to get the most out of your engine—whatever you may need it to be. Push the button once to engage the Econ mode, then push it again to boost performance. 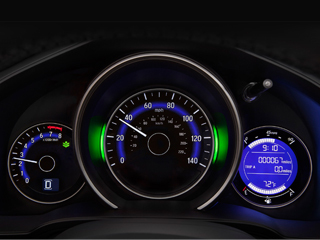 An in-dash tool that helps you improve your driving, bars on either side of your speedometer change from blue to green as you embrace more fuel-efficient driving techniques. The greener the bars, the more miles you’ll get from a tank of gas. The Fit keeps things small and safe. Honda’s compact hatchback is more than just a stunningly powerful yet fuel efficient engine on wheels. 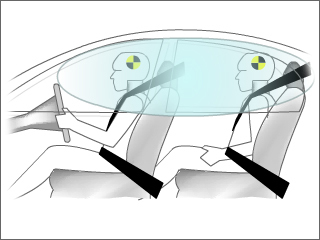 Honda engineers and designers have built it for the utmost in safety, with some features that help protect you and your passengers by helping to prevent a collision before it even happens. 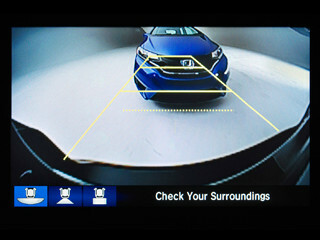 A camera built into the Fit’s front end can see the guidelines on the road and notice when you may start to stray into another lane unintentionally. The system alerts you with both audio and visual warnings to help bring your focus back to the road and keep you in your current lane, hopefully preventing a collision before it happens. Capable of being inflated at different rates for different forces and different driving conditions—like the weight of passengers and whether they are wearing seat belts—the Fit’s airbags deploy with just enough force to cushion and protect in the event of an accident. 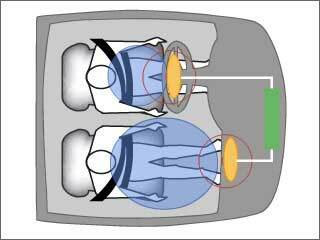 Side-impact collisions are some of the most prevalent and can be some of the most dangerous, and the Fit’s side curtain airbags are set to deploy in a side impact to protect both front and rear outboard passengers. The electronic brake distribution system helps ensure that brake force is distributed evenly among the wheels, and when combined with the standard anti-lock braking system can help you keep control over the Fit and keep your wheels from locking up. Standard on every Fit, this incredibly useful piece of technology make backing up and parallel parking easier by giving you a full view of everything behind the Fit from three different angles. There’s a reason why it is one of the NHTSA recommended crash avoidance technologies: it really does help you avoid backing into another vehicle, object, or person. 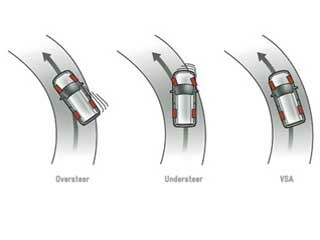 If you over or understeer, vehicle stability assist kicks in and brakes individual wheels to keep the Fit on course while traction control does just what it sounds like: maintains a firm grip on the road. A high-tech Fit for a new generation. We know that the 2015 Honda Fit has a special appeal to drivers of a certain generation, and that means it needs to make it easy to stay connected while on the road. Thanks to HondaLink, Bluetooth, and other modern amenities, the Fit marks itself as a car of the future, but you can drive it home today. Bring your digital world onto the road with the next generation of Honda’s famous HondaLink interface. 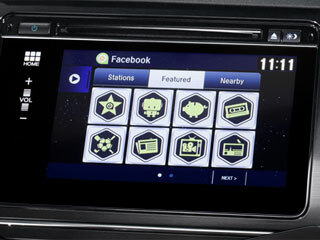 Access some of your favorite iPhone apps from the convenience of the Fit’s 7-inch display that brings Aha, Pandora, and more to the cabin of your new hatchback, letting you keep your hands on the wheel while staying connected. 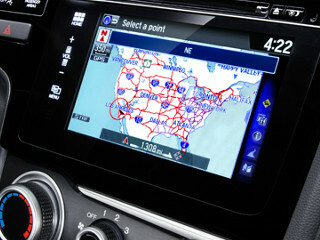 Upgrade to the satellite-linked navigation system to keep yourself headed in the right direction. The voice recognition system gives you access to as many as 1500 different commands and the built-in FM traffic alerts help you to avoid congestion and delays. This crisp, clear LCD display embraces smartphone commands like pinching and swiping for a familiar interface to control all of your technology, from Pandora to SMS texting and more. Cut the wires and stay connected with standard Bluetooth HandsFreeLink. 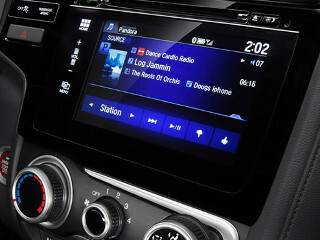 Not only can you make and receive handsfree calls, but the Fit’s infotainment system will let you stream your music straight from your smartphone. Pandora, Spotify, Stitcher—you name it, you can stream it. 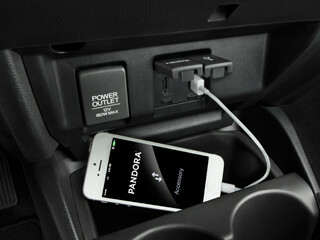 Plug in your iPod or flash drive and get access to your gigs of music on the go. Not only will you be able to access your whole song library from the driver’s seat, but the Fit will get your mp3 player charged and ready to go when you get to your destination. 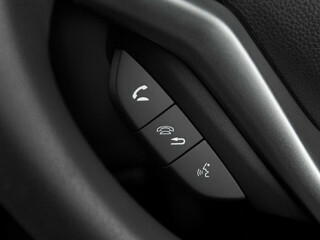 It takes just the push of a button to start the Fit. You’ll still want to have your keys on you, as the car detects whether or not your key fob is in the vehicle, but you won’t have to go digging for them the next time you’re in a hurry. Turn heads in this stunning little city car. 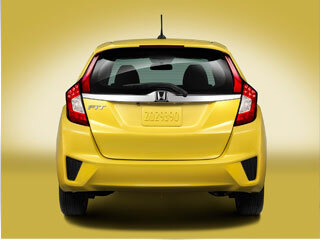 While the Honda Fit has always been one of the sportiest models in its class, it goes all out for the 2015 model. 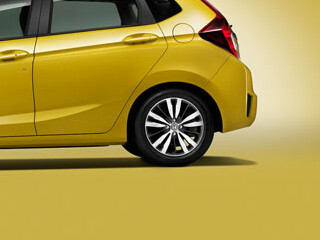 A redesigned exterior with a wider and more aggressive stance, stylish new alloy wheels, and unique styling in the form of a new grille and headlights mark 2015 as a bold new direction for the Honda Fit. 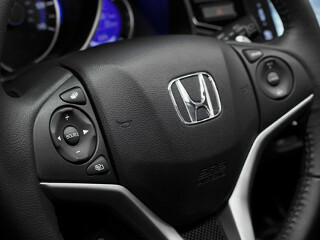 When designing the new Fit, Honda has opted for one of the most intuitive interfaces we have ever seen. Easy-to-reach technology and steering wheel-mounted controls ensures that the driver will be able to keep their focus on the road while still making full use of the Fit’s many amenities. From the sleek new exterior design of the Fit to its wider stance, it will look like a distinctive new car even from a distance. And up close, the new alloy wheels, redesigned headlights, and the subtle yet just bold enough grille design let you know that the Fit means business (but fun business). 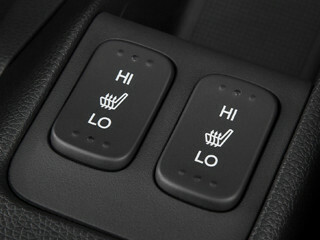 Optional heated front seating lets you slide into a cozy driver’s seat in even the dead of winter, reminding drivers that the Fit is comfortable in all four seasons, and it wants you to be too. 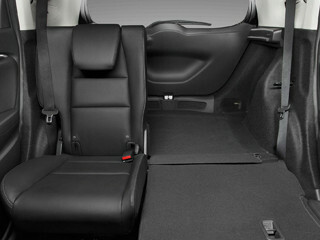 By incorporating Honda’s Magic Seat technology, the 60/40 split rear seat is able to maximize the interior storage space of the Fit and make it easy for a driver to take advantage of that 52.7 cubic feet of cargo space and move from hauling people to hauling cargo at a moment’s notice. The spacious center console is built for the modern era, with room for many different popular tablet computers as well as your smartphone and mp3 player. 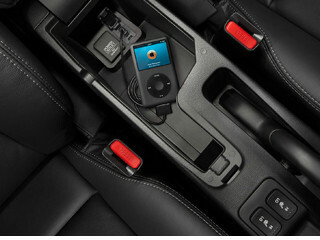 It even has a convenient second USB port in it for charging or connecting to your audio system. If you find yourself enjoying the view from inside the Fit, bring the beauty of nature inside with the one-touch moonroof. 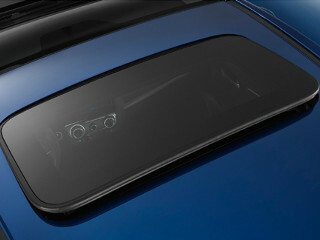 Slide the sunshade in place or use the tilt function to let in just the right amount of sunlight and fresh air. *MSRP excluding tax, license, registration, $790.00 destination charge and options. *29 city/37 highway/32 combined mpg rating for LX and EX 6MT models. 33 city/41 highway/36 combined mpg rating for LX CVT model. 32 city/38 highway/35 combined mpg rating for EX and EX-L CVT models. Based on 2015 EPA mileage ratings. Use for comparison purposes only. Your mileage will vary depending on how you drive and maintain your vehicle.